My research interests are space plasma physics, outer planet magnetospheres, solar wind in the outer heliosphere, and astrophysical plasmas. I was Principal Investigator on the Voyager Plasma Science Experiment during the Voyager Nepture Encounter--the end of the Grand Tour. I am now a Co-Investigator on the Plasma Science Experiment onboard the Voyager Interstellar Mission. 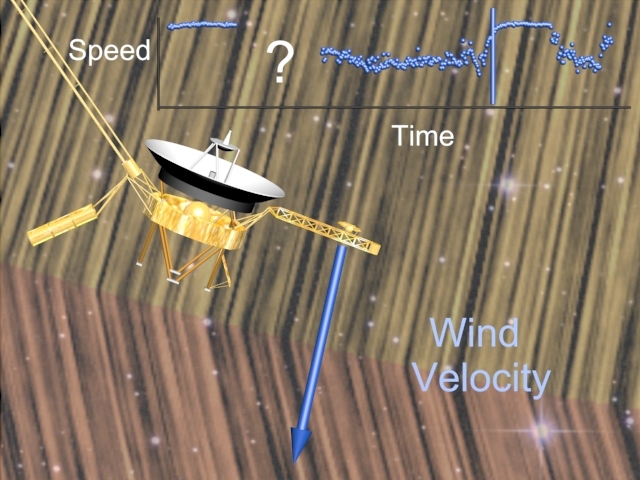 Voyager 2 crossed the solar wind termination shock in August of 2007 (see figure below). Voyager 1 crossed the heliopause into the interstellar medium in August of 2012. The Voyager 2 crossing of the heliopause is next up, and will almost certainly happen some time in the next three years. I have twice received the NASA Exceptional Scientific Achievement Medal, once for my contributions to the understanding of the plasma dynamics of the Jovian magnetosphere, in 1980, and once for my role as Principal Investigator on the Plasma Science Experiment on Voyager during the Neptune encounter, in 1990.